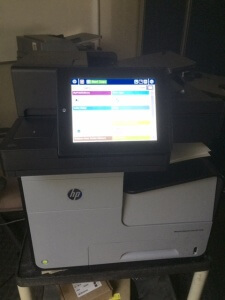 OM Plus My-Print-Delivery (MPD) uses the HP OXPd (Open Extensibility Platform for devices) development environment. Applications developed using OXPd support devices with 1.7 level firmware and up. 1.6 level firmware may not have all the routines needed to support OXPd applications. However, OM Plus pull-print solution (MPD) has been modified to support 1.6 level devices as well as 1.7. This is significant for HP users with older HP devices in their fleet. This version of MPD is currently in QA and should be available for test and deployment soon.